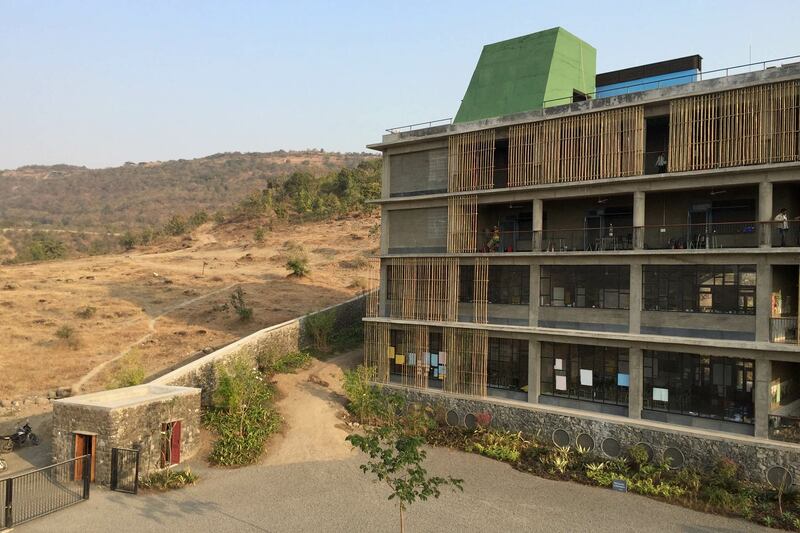 This residence school campus consists of seven similar buildings, each with classrooms on level 1 and 2, and student dormitory and faculty residences on level 3 and 4. 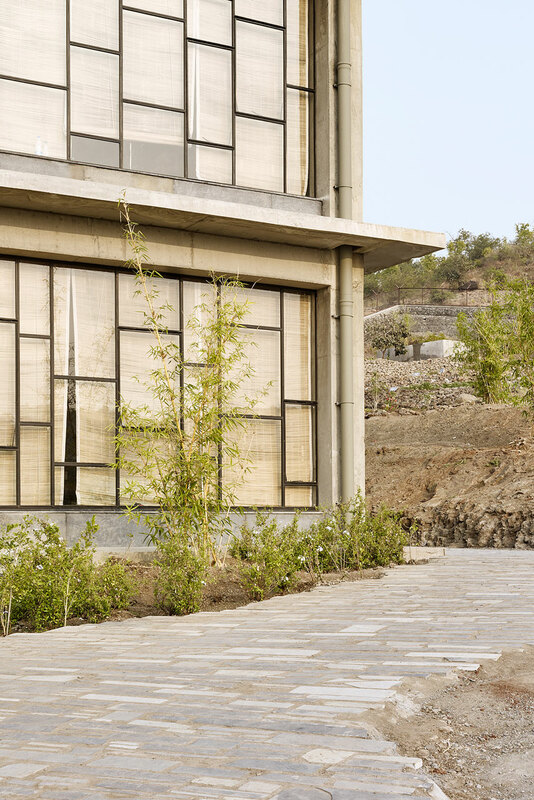 With high ambition and a modest budget, we were asked to help design an exemplary comfortable building without any mechanical system in the warm and humid western part of India. 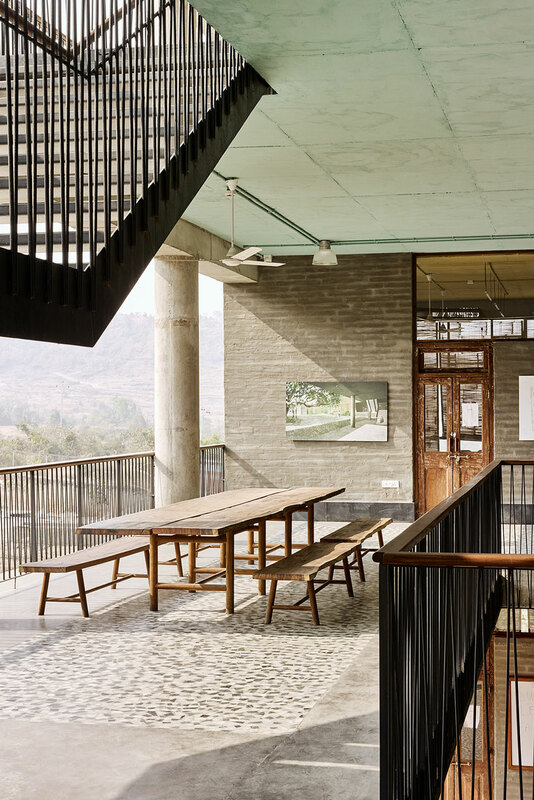 A climate responsive massing, strategic program placement, and locally sourced wooden shades in combination with overhangs set the stage for passive climate strategy. 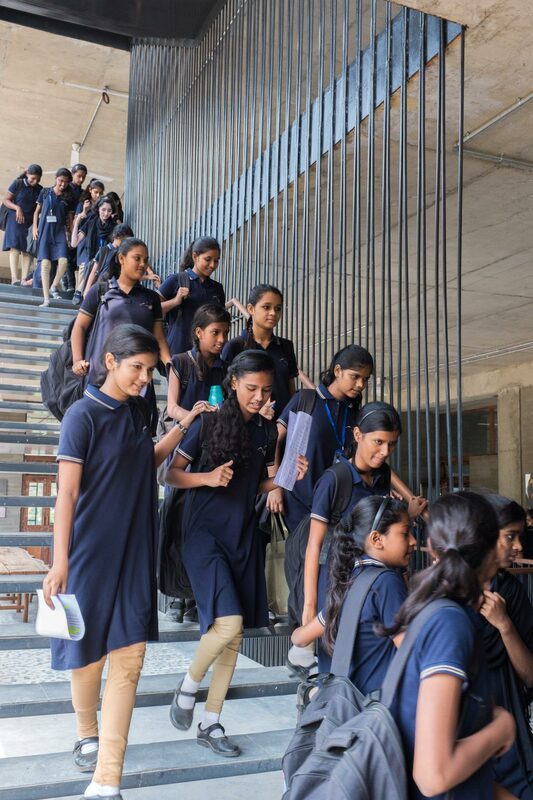 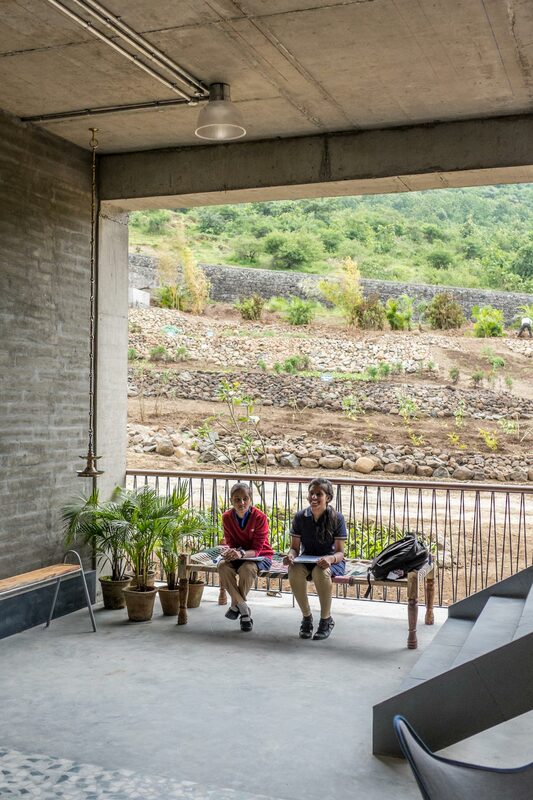 And, a meticulously designed natural air flow path through all the occupied spaces in the building using architectural and structural infrastructure create year-round comfortable learning and living environment. 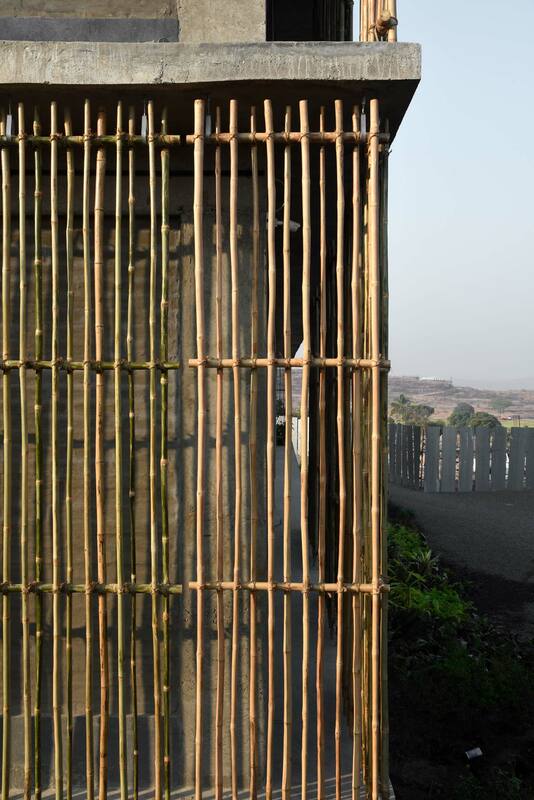 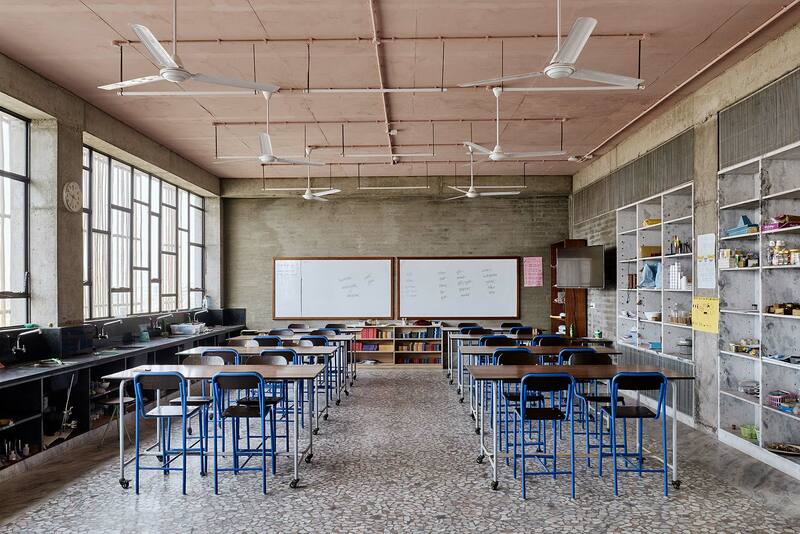 Outside air is drawn through a series of earth ducts, where it is passively pre-cooled, before being supplied into the classrooms and livings spaces. 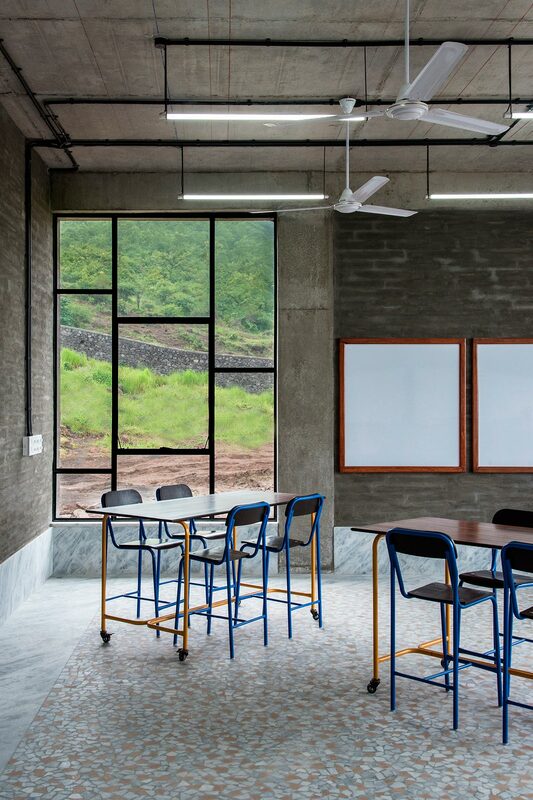 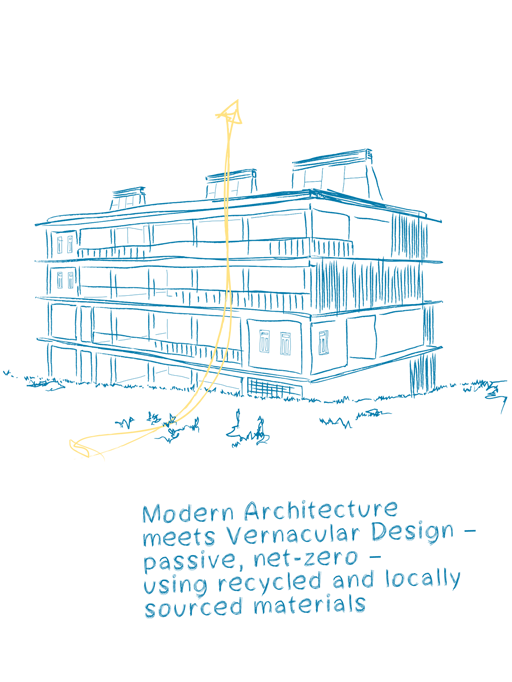 The strategy of supplying outside air through earth ducts also allows natural ventilation while eliminating any outside noise transmission (from the school campus) into classrooms. 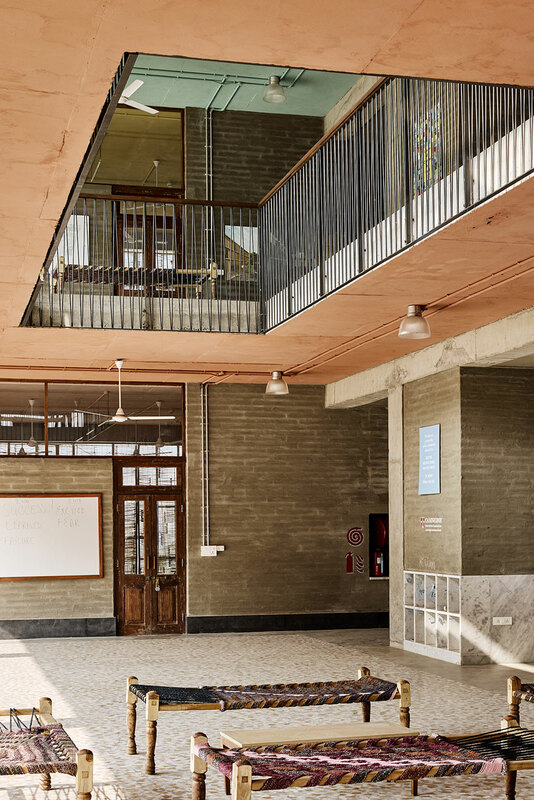 Beautifully detailed concrete construction and locally sourced stone interior provide necessary exposed thermal mass in the occupied spaces resulting in a moderate, more consistent radiant temperature inside the building. 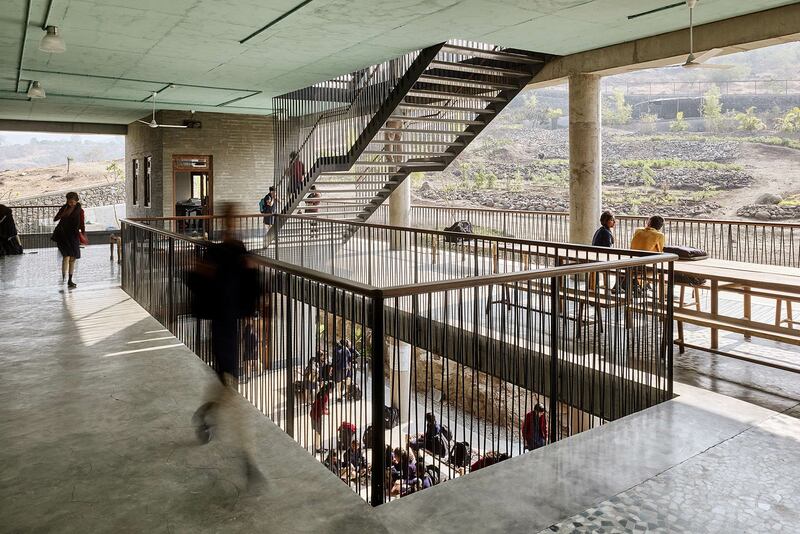 The air from all classrooms and living spaces passively transfers in three separate, centrally located “exhaust cavities” which are integrated in the structural core of the building and eventually extends out as solar chimneys above roof level. 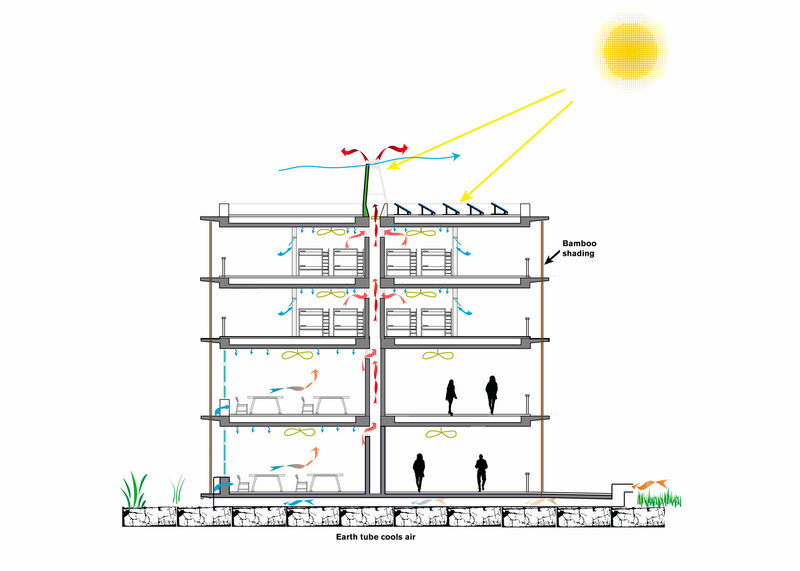 These chimneys, using solar heat from the sun, are designed to passively drive the entire air flow, and provide cooling, throughout the building. 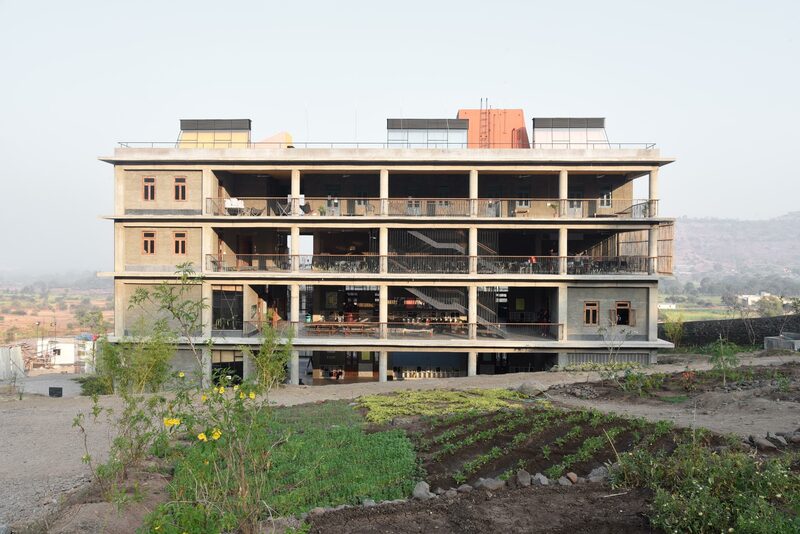 The proposed design reduced initial construction cost by approximately 7% through elimination of mechanical systems, and reduced annual energy cost by 80% due to a completely passive design. 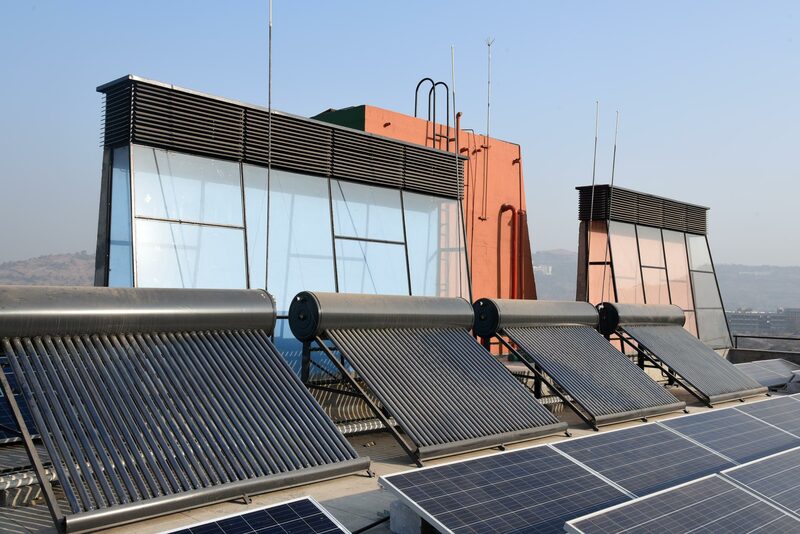 A handful of solar water heaters provides hot water for showers and PV panels on the building roof supplies electricity for ceiling fans and electric lighting in the building, making it also a Net-zero Energy Building.